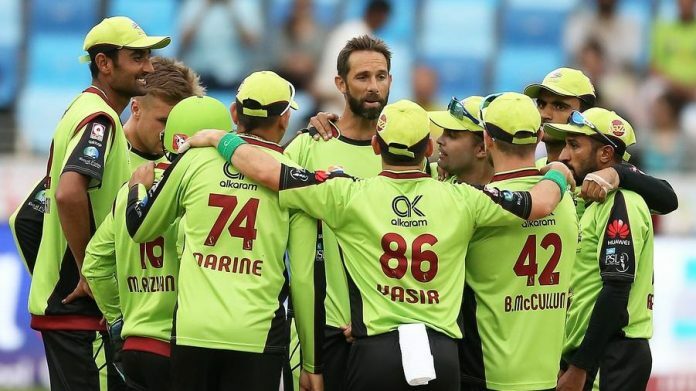 Will things change for Lahore Qalandars in PSL 4? Cricket runs like blood in our veins and the crazy fans in Pakistan celebrate almost every cricketing event like a festival. Since the introduction of Pakistan Super League (PSL) the enthusiasm of the game has reached heights. Fans support the team in which they find their favourite cricket superstars. The tournament consisting of six teams has given a unique identity to Pakistan’s cricket. If you talk about franchises of the only cricketing league of Pakistan then the unluckiest side is Lahore Qalandars who bought renowned international stars in all three seasons but failed to get off the mark with their performance. One of the most followed franchises of the PSL, Lahore Qalandars contains huge fan following and people are desperate to see them lifting the trophy in the upcoming season of the mega event. One of the biggest reasons for Qalandars following is its owner, Rana Fawad, who has pulled an immense attraction of PSL’s audience with his expressions during his team’s unlucky moments in the match. Rana Fawad, who calls himself a ‘Malang’, has given Qalandars a special place in people’s heart. Lahore Qalandars squad for 2019 once again consists of the biggest name from cricket world like former South African batsman AB De Villiers. The former South African captain who will be playing his first season of the PSL would give Qalandars a much-needed edge in the event. A batsman, who ruled the hearts of cricket fans around the world with his mind-boggling shots, is expected to show the winning track to Qalandars. Pakistan’s experienced all-rounder Mohammad Hafeez has been given the command of the team which is going to be a huge bonus for Qalandars. Hafeez, who played last three seasons for Peshawar Zalmi, is looking forward to leading one of the most followed franchises over the victory line this time around. He, in an interview, said that it is overwhelming for him to join Qalnadars family who madly follows their team despite not an impressive show from them in last three seasons. Left-handed opening batsman Fakhar Zaman once again will be wearing Qalandars jersey after being retained in the side in platinum category. Zaman, who has been announced as the vice-captain of the side, saw his life getting changed after playing for Qalnadars in the first season of the PSL. Windies T20 captain Carlos Brathwaite will help Qalandars with power-hitting as his four winning sixes in T20 World Cup final are still considered as one the most enthralling moments in cricket history. Young leg-spinner Sandeep Lamichhane will be a surprise package for Qalandars as he keeps the ability to deceive the batsmen with the variety of spin. Shaheen Shah Afridi, Yasir Shah, Agha Salman, Rahat Ali, Sohail Akhtar, and Hassan Khan will much depth in the side. The team looks good but the thing is that how they manage the things under a new captain Hafeez. Qalandars fans are once again pumped up and really hoping to watch their team give stiff competition this time around. With likes of De Villiers, Brathwaite and Hafeez, Qalandars can turn the fortune in their favour. AB De Villiers, Muhammad Hafeez, Carlos Braithwaite, Corey Anderson, Sandeep Lamichhane, Haris Sohail, Mohammad Imran, Umair Masood, Maaz Khan, Brendan Taylor, Gohar Ali, Harris Rauf, Aizaz Cheema, Fakhar Zaman, Yasir Shah, Shaheen Shah Afridi, Anton Devcich, Rahat Ali, Agha Salman, Sohail Akhtar, Hassan Khan.